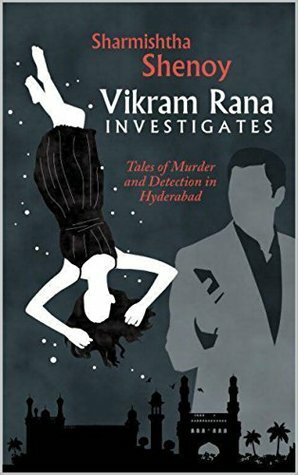 ‘Vikram Rana Investigates’ consists of two murder cases set in the city of Hyderabad, which are investigated and solved by Vikram Rana, a private investigator. ‘The Mysterious Affair at the Lohia Mansion’ takes us to Rich Lohia, daughter of a powerful man and wife of renowned industrialist, who dies under mysterious circumstances in her locked bedroom. Rana is hired by Rohan Lohia, his friend and Richa’s bother-in-law, to investigate the untimely death. The story starts pulling you in, with many characters coming into the ambit of suspicion— the husband, Kinshuk Richa’s drug-addict son, Juhi – the governess, and Rohan himself. The story keeps one invested till the end. 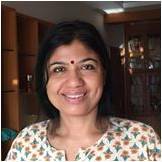 ‘The Sonia Sinha Case’ is about murder of a dubious property developer, Krishna Mohan Dhavala, who is brutally murdered in his car. As Rana comes in to investigate there are many characters who slowly come into his list of suspects. The villain’s character is well etched as the story progresses. The author gives us the information piece by piece maintaining the suspense till the end. Of the two I liked the second one better as it is more convincing. Coming up with murder mysteries which do not have a loophole is difficult. Kudos to the author for not one but two well thought-out stories. Both the stories are well told, however they could have been made into full separate novels by flushing out the characters and detailing the situations. Secondly in the Lohia case too many characters are introduced in quick succession leading to confusion. I had to read first few pages again to get the names right. Pace of both the stories is good. Language is simple and narration maintains the suspense till the end. The interactions between Vikram Rana and his wife Veena bring much needed light-hearted moments in tense situations. A great effort for a debut.